Just a hop, skip and a jump north of Auckland lies the picturesque region of Matakana. As an Aucklander, it’s one of my favourite short hops, not just because of the great wines, but also because the region is known for its arts and crafts, and there’s always something going on somewhere. Plus there are the culinary pleasures aplenty – a glorious array of local produce is freely available, so make sure you have spare boot space! Markets, roadside stalls and retailers abound.?? In fact, when it comes to mixing wine and food, the 2008 Matakana Wine & Food Festival was a roaring success. Dishes ranged from traditional thin-based pizzas, to oyster, paella, terrines and even exotics such as Moroccan spiced lamb. Entertainment was provided in the form of rock blues and jazz bands and a DJ or two, whilst a playground area kept the younger set occupied. Being a hilly region, many of the wineries in the Matakana region are on sloping land, providing drainage on the clay soil. Chardonnay and Pinot Gris do exceptionally well in this area, and red varietals of Merlot, Cabernet Sauvignon, Syrah, Pinotage, Pinot Noir and Sangiovese show good consistency. Warm weather and plentiful rainfall both aid and hinder the winegrower, but they persevere nevertheless, producing some exceptional wines. 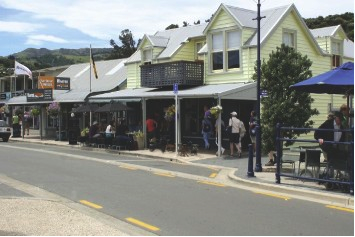 A day spent discovering the Matakana wine route is almost guaranteed to produce a tipple you simply cannot resist – a tipple that is usually made by family-owned businesses in a boutique setting. Be warned though – don’t fill the boot completely with wine, as you’re bound to discover a range of other goodies along the way to take home with you! And then there’s the scenery … on our last visit (one of many, I can assure you! ), we stopped for lunch at Omaha Bay. Perched on the crest of a hill, the view over to Omaha Beach was outstanding. It was the perfect spot to end our perfect day as we lingered over a very generous platter and copious refills of our tasting glasses. A must is The Vintry, Wine Centre & Lounge Bar. This is no ordinary wine shop. Firstly, you can buy as little or as much as your budget dictates. 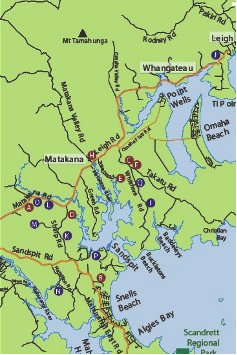 Secondly, the wines are ALL grown in the Matakana region. You can enjoy or glass or two, or purchase a bottle, or even a case. The atmosphere is relaxed and informal, just as it should be in this setting, and the staff on hand are informative but don’t pressure you. If your family is anything like mine, hubby and kids just don’t want to head back to the big city after only one day in Matakana, so we usually find a place to lay our weary heads overnight, most times trying something new. ? ?From country lodges and estates to village cottages, camping and B&B’s, there’s something for every taste and budget. This most definitely isn’t just a “pretty” place to visit – the climate and soil of the Matakana region are suited to producing world class wines and I, for one, have thoroughly enjoyed supping my share of them. Gillman vineyard: offering a blend of Cabernet Franc, merlot and malbec, the wine is produced by hand using old world methods. Small, exclusive. www.gillmanvineyard.co.nz? Heron’s Flight vineyard & café: Fine wines crafted from classic Italian red grapes Sangiovese and Dolcetto. 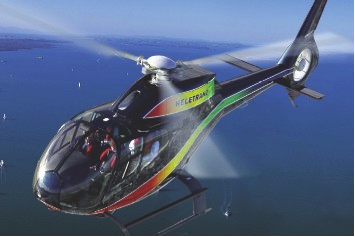 www.heronsflight.co.nz? ?Hyperion wines: A genuine boutique winery producing Bordeaux reds, Pinot Noir, Pinot Gris and chardonnay. www.hyperion-wines.co.nz? Mahurangi river winery: A range of hand made chardonnay, Syrah and Bordeaux style reds. www.mahurangiriver.co.nz?O Matakana Estate: A family run boutique vineyard established for the sole purpose of crafting distinctly individual, high quality wines. E: cellar@matakana-estate.co.nz? Omaha Bay vineyard: Fourth generation wine growers producing Pinot Gris, Syrah, Bordeaux reds and montepulciano. www.omahabay.co.nz? Ransom Wines: An established reputation for their range of elegant wines. www.ransomwines.co.nz? Saltings Estate vineyard: Producing premium Bordeaux reds and a classical rhone style Syrah, grown in the traditional manner using biodynamic techniques. www.saltings.co.nz? Takatu vineyard & lodge: Each densely planted vine is hand tended, producing renowned Pinot Gris and merlot. www.takatuwine.co.nz? The Castle Matakana Boutique lodge & vineyard: vines of Syrah, merlot, malbec and cabernet Sauvignon are co-fermented and then barrel-aged in French oak barriques producing wine of great character. www.the-castle.co.nz?? 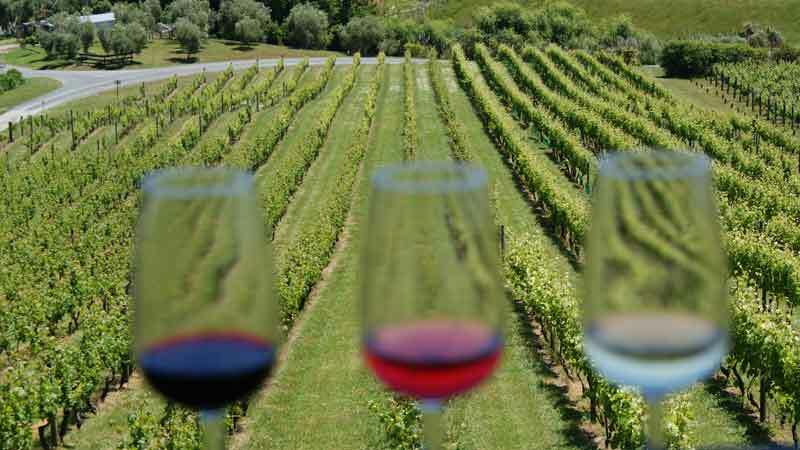 Auckland corporate wine Tours – www.nzwinepro.co.nz? Great Taste Tours – www.greattastetours.co.nz? Matakana Taster Tour – info@wisdometours.co.nz?